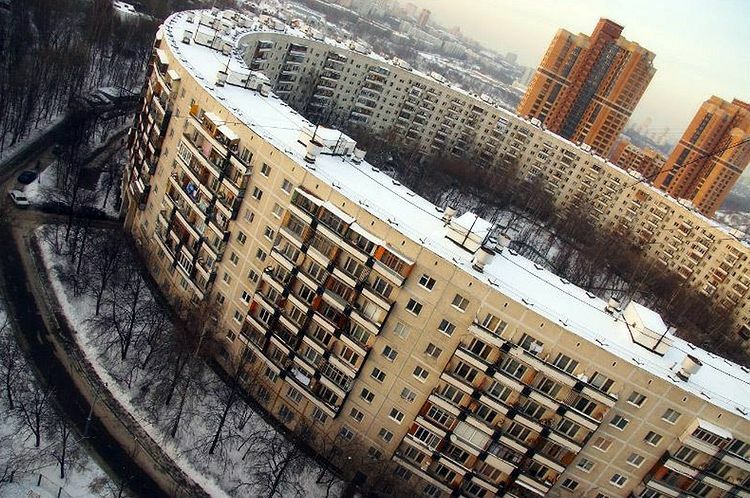 During the Soviet times, Moscow authorities built many unusual buildings. 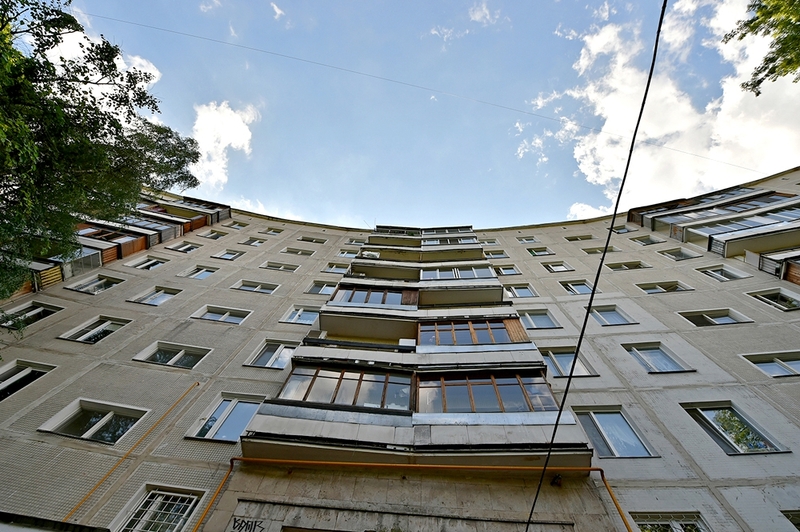 One of them was the cylindrical apartment building which was constructed in 1972 by Soviet architect Eugene Stamo and engineer Aleksandr Markelov. 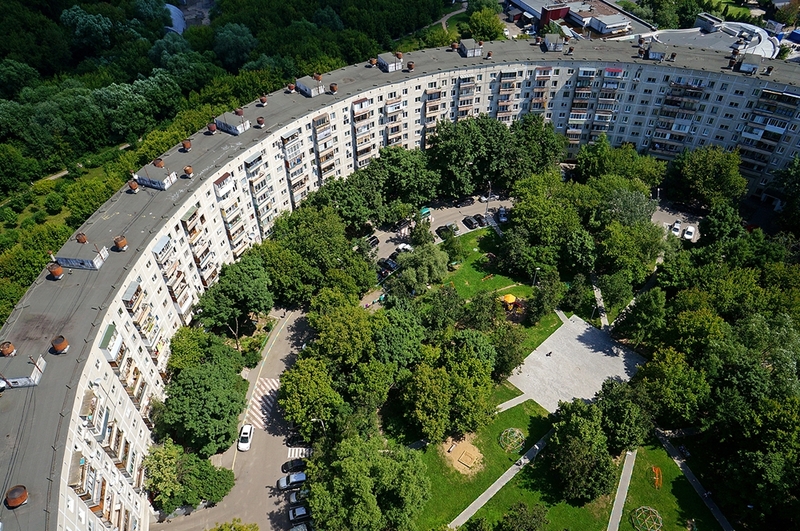 Located in the district of Ochakovo-Matveevskoe, the building is called Bublic among residents and neighbors, due to its similarity to to a bagel (Bublik in Russian language). 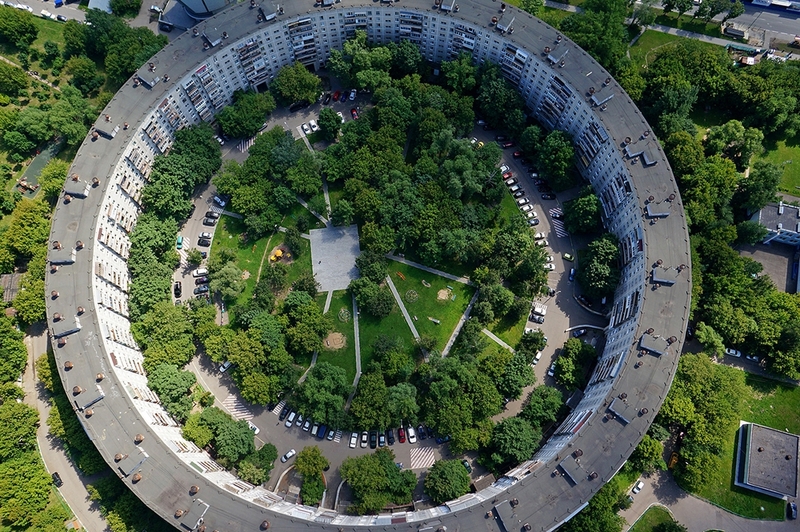 This residential building was designed for 913 apartments. 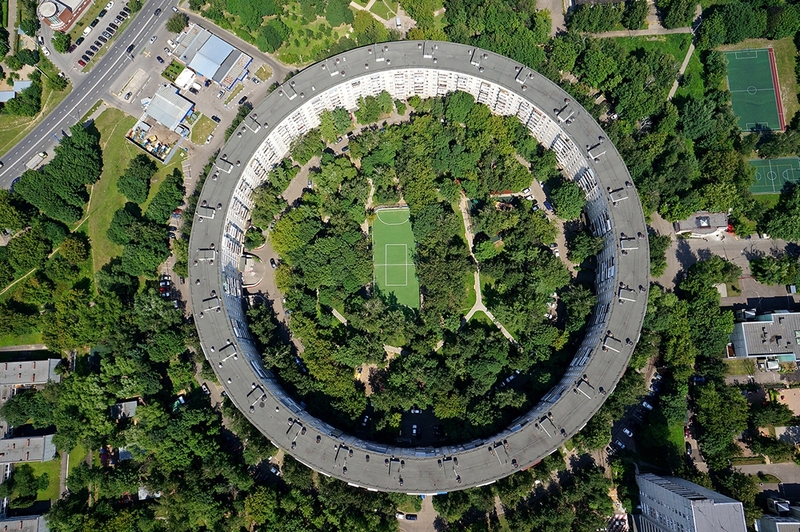 According to the architects, five similar buildings were supposed to be built before 1980 Summer Olympics. 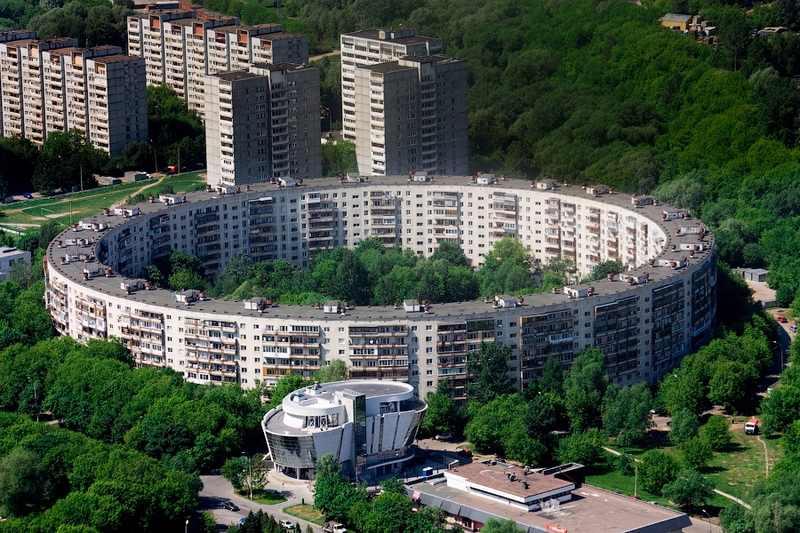 Five buildings resembling the Olympic sign were intended to be constructed. However, only two of them were completed. 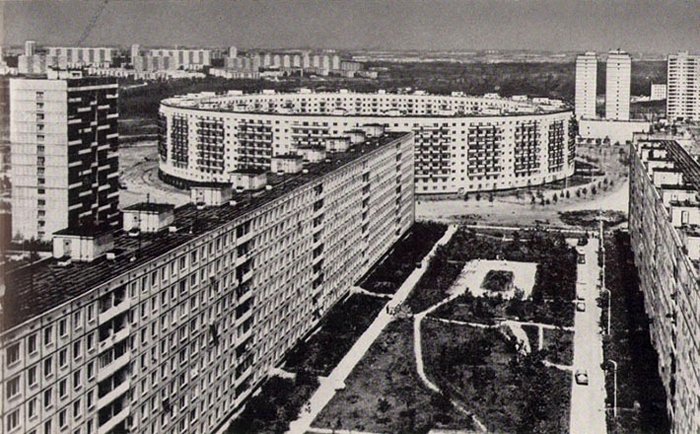 The reason behind that was that the Soviet housing was oriented strictly on practicality and affordability. Cylindrical houses, however, were expensive to maintain. Also, locations of the buildings were too far from each other. So it would be really difficult to associate them with the Olympic rings. 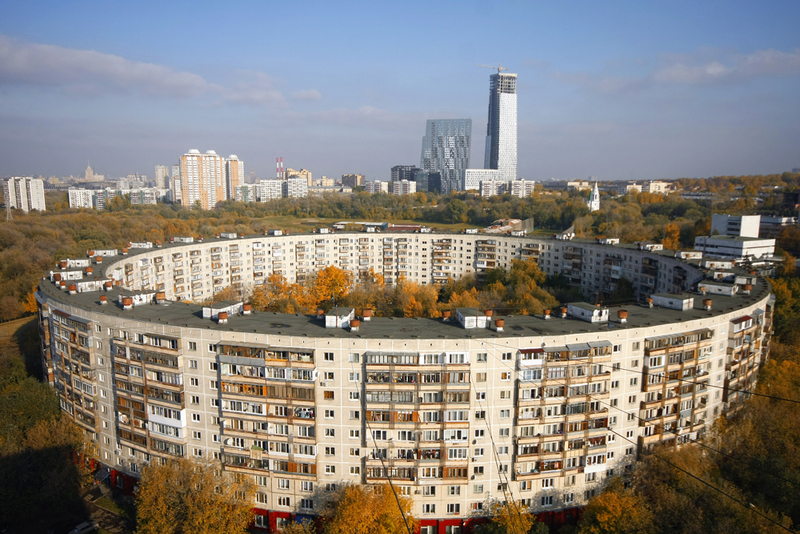 So there they stand, two cylindrical buildings, as a daily reminder of poor management by the Soviet regime.